Danny Lane is an American glass artist currently living and working in London. 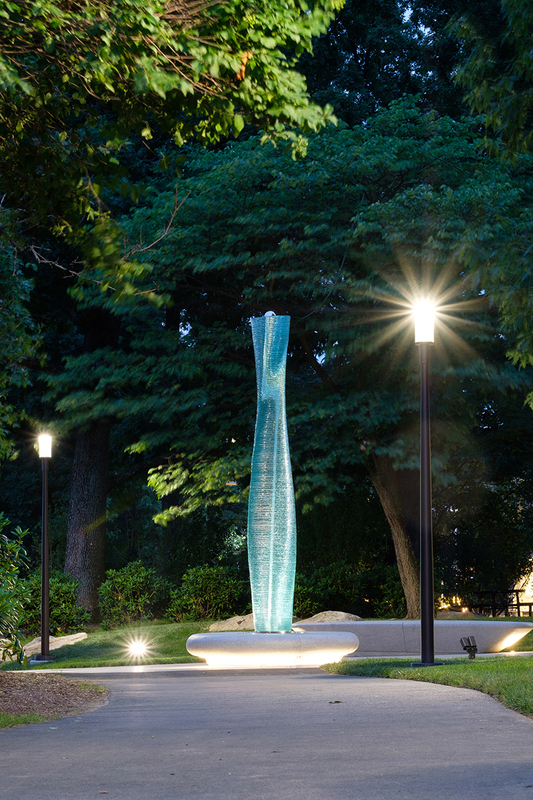 He is best known for his large scale glass and steel sculptures. 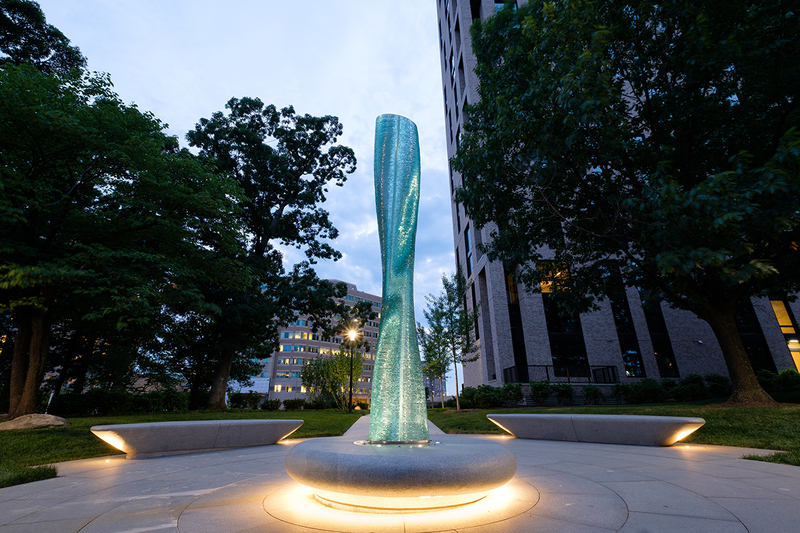 Through his work, he contrasts the seeming fragility of glass as a material with the sturdiness of steel to create sculptures that are at once commanding and elegant. His work can be found in collections around the world, from London to Hong Kong, to the United States. 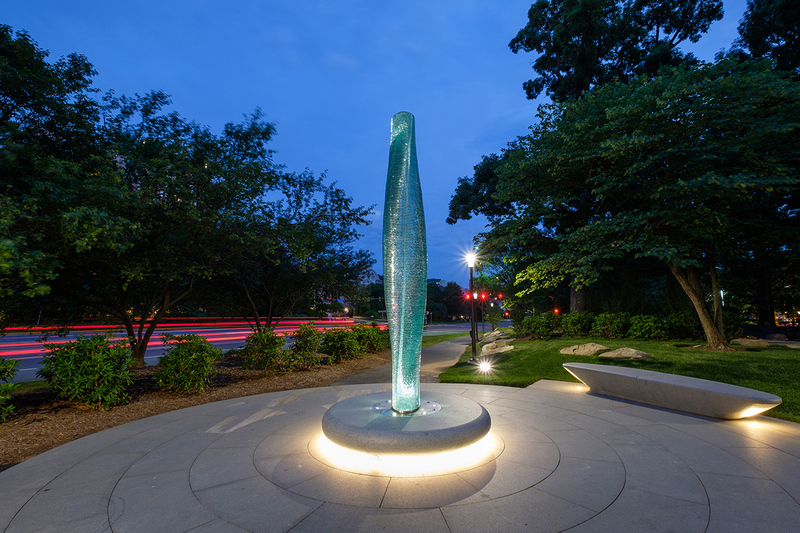 Danny Lane created a sculptural environment that includes a 12’ stacked, low iron glass sculpture on a soft-edged 7’ diameter granite plinth that can also be used as seating. 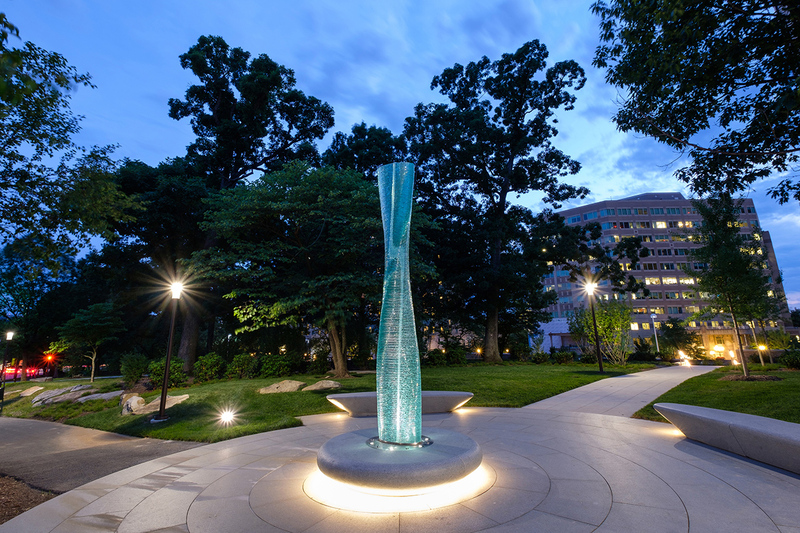 The gently twisting glass form and plinth are situated in the center of a circular area where three pedestrian paths converge. The circular area is defined by a visible change in hardscape material creating a transition from the community path to the sculpture site. On the perimeter of the circle, Danny created three tapered elliptical granite benches that mimic the line of the landscaped circle, are harmonious with the plinth design and serve as resting sites from which to view the central sculptural element. “I have titled the piece Nokomis, after the legendary …mythological, Algonquin, grandmother of Nanabozh. They are the key players in the Algonquin/ Powhatan creation myth.